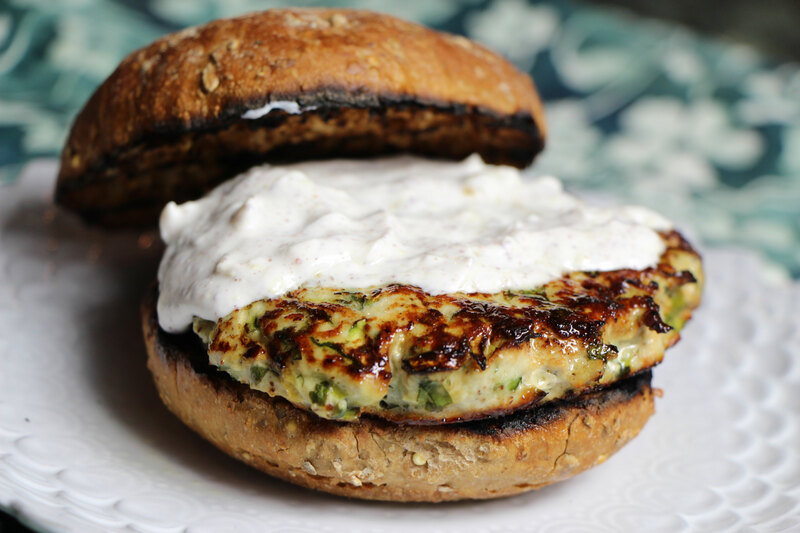 You’ve never had turkey burgers like these! Incredibly moist and delicious with a sauce that really kicks up the flavor! Sumac can be found at most supermarkets and Middle Eastern stores. If you cant find it use ground cumin instead and add a little more lemon juice. Combine all ingredients in a small bowl and whisk to combine. Taste and adjust seasoning. Don’t be afraid to add more lemon here, as it will really help enhance the flavors of the burger! *To make garlic paste simply dice your garlic, add a teaspoon or so of salt to the garlic and with the flat part of your chefs knife, using a back and forth motion, mash the salt and garlic into a paste. The salt acts like an abrasive-a sort of sandpaper-and helps to turn the garlic into a beautiful paste that will really boost up the flavor in any recipe calling for just diced garlic!